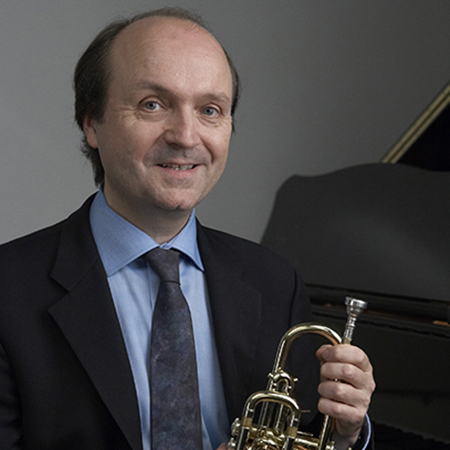 Alan Matheson is a Vancouver-based pianist, trumpeter, composer and arranger. He teaches at the music departments of the University of British Columbia and Vancouver Community College where he is an instructor in jazz piano and trumpet and at the Vancouver Symphony School of Music where he lectures in jazz history. He is a graduate of Northwestern University in Evanston, Illinois and studied with Vincent Cichowicz. Alan has also studied with Stephen Chatman, Barbara Butler, Joe Newman and Clark Terry. Alan also leads his own big band, nonet, septet and trio and has written arrangements for jazz legends Clark Terry and Bud Shank. As well, Alan has conducted big band tributes to Duke Ellington, Paul Whiteman and Louis Armstrong. He has also performed with the Vancouver Symphony Orchestra, Louis Bellson and Phil Woods. Alan’s compositions have been performed by Julia Nolan (saxophone), Sal Ferreras (percussion) David Palmer (pipe organ) and Martin Hackelman (horn). His arrangements for big band have been performed by the Tulane University Jazz Ensemble and the Northwestern University Jazz Ensemble. Alan’s first CD “Intrada” was released in 2004 and his newest CDs “Duetti” and “Summer Evening” (recorded in Finland with bassist Wade Mikkola) were released in 2013 and 2015 respectively. Alan’s septet was featured along with the Pacific Baroque Orchestra at the 2016 Vancouver International Jazz Festival where they premiered Alan’s composition “Chaconne” for baroque and jazz chamber ensembles. In July 2017, Alan and bassist Wade Mikkola recorded a new CD in Porvoo, Finland celebrating the music of the esteemed Finnish composers Jean Sibelius, Toivo Kärki, Erik Lindstöm and George de Godzinsky.